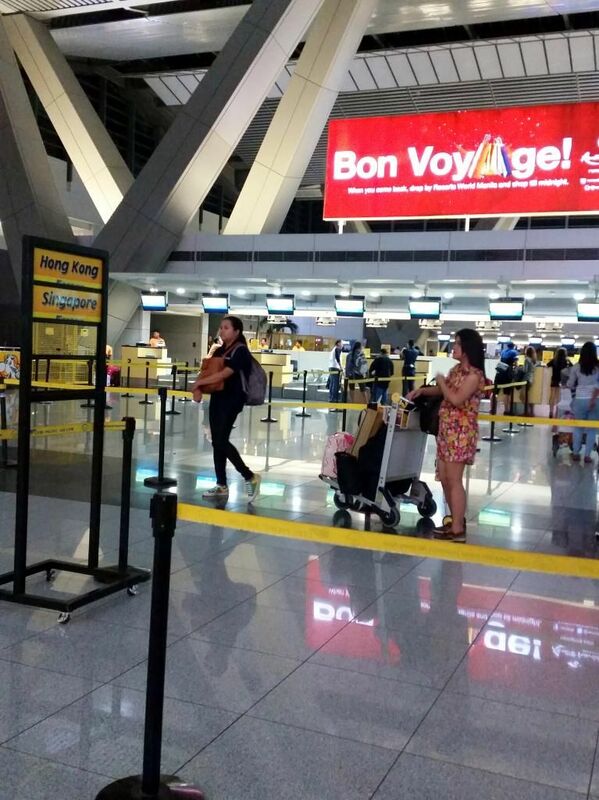 Real Asian Beauty: Cebu Pacific Lost My Luggage! Cebu Pacific Lost My Luggage! This is it! I'm finally writing about Cebu Pacific! In Filipino, we say "puno na ang salop". It has been 2 weeks since they lost my luggage but I still have not received any form of compensation. Just try put your self in my position, even for a second, and imagine being in a foreign country for a week without any clothes to wear, not even an extra underwear! That, plus imagine all the valuables you lost -- your favorite stuff, things you worked hard for just to purchase, new/unused clothes that you spent time planning on. Pressed already? Okay, then imagine all those things as your work stuff supposed to be done at your destination. Now, you're pressed! I'm writing this hoping that it would get to Cebu Pacific. I'm also writing this so passengers would know the risks they would take when they ride the said airline. So, January 2014 my friend and I booked a 75% off promo fare on Cebu Pacific's website. Cebu Pacific has always been the talk of the town, at least from what I know, because they always offer CHEAP flights. They even go as low as ONE PESO. Of course, who would not take that great deal, right? So, my friend and I booked round trip tickets to Hong Kong for August 2014. Fast forward to the departure date, we were at the airport all excited for our trip. Here's a photo I took before we boarded the plane. Little did I know that one of those luggages is mine and would be lost forever. I did not take a photo of me and my luggage together because I had no clue at all that Cebu Pacific would lose it. Had I known, I would have taken a photo of all angles, put as many locks, bag tags and name tags all over it. Here is a photo I took right after I checked in my luggage. I looked happy because I didn't know I won't have any clothes or underwear when I touchdown Hong Kong. But just for reference that I did take a Cebu Pacific plane. So we arrived Hong Kong Airport at around 10:30 AM. My friend and I went straight to the immigration and then to the luggage area. We didn't want to waste any time at the airport because we already planned our itinerary that day. Again, I did not take a photo of the luggage carousel because I did not know my luggage would get lost. 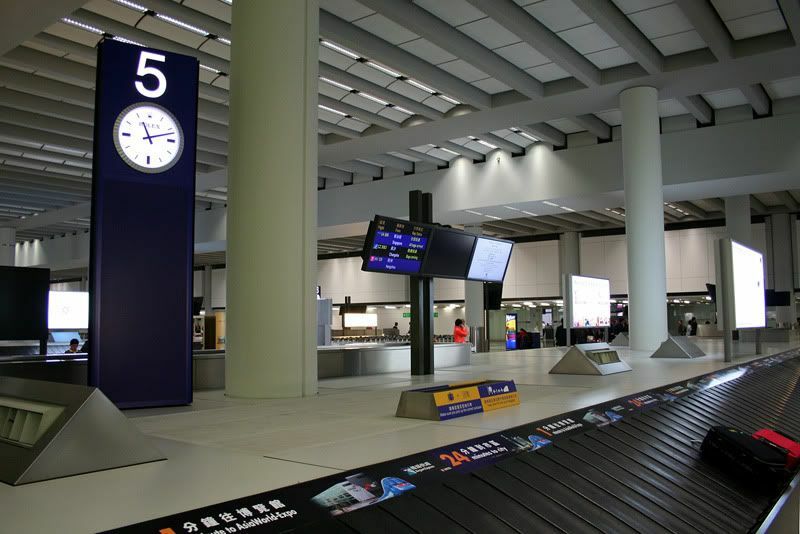 Here is a photo of the luggage claiming area in Hong Kong. My friend and I went straight there. We even remember that we came there first because it was still a bit empty when we saw it. After a few turns, my friend already spotted her red Delsey luggage. I already felt a little nervous when my luggage didn't come with hers. But I tried to stay calm. After a few minutes, I noticed that almost all the people that were with us on the plane already got theirs. So, I began feeling anxious. The airport guy, being all busy, told me to just look around and look for the right carousel because I could have just been lost. I told him that that my friend already got hers from the right carousel. He told me to "wait and look again", so I did. One hour passed, my friend and I were already becoming more anxious. So, I went to the baggage counter again. That's when they finally listened to me and handed me a paper to formalize my missing luggage report. 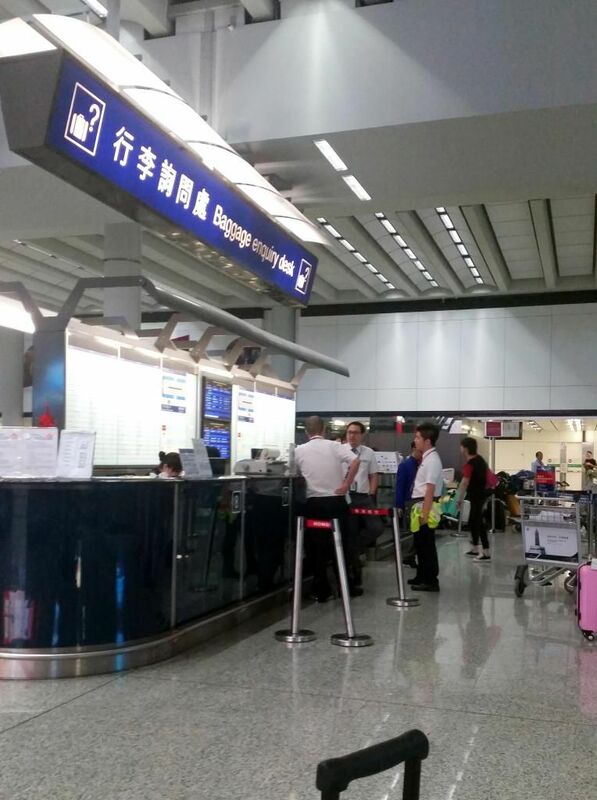 What's so bad is that it seems that the Hong Kong airport staff are used to lost baggages, especially from Cebu Pacific. They told me they will look into the matter, search for the luggage and send it straight to my hotel the next day. I was kind of hoping because some of the travel blogs that I read have also lost their luggage but the airline and airport were able to track them the following day. Devastated, I had no choice but to go to our hotel and push through with our trip. If I had other means, I would have just went back home to the Philippines. Traveling without any of your clothes, undies, valuables and the entire luggage is truly hopeless. The next day, my luggage was not sent to my hotel so the land lord got alarmed. He said, usually, the airport sends missing luggage the following day. So when mine did not come, he was alarmed. He also called the airport to speak to the airport personnel in their native language. He kept calling them until the day I left Hong Kong, but to no avail. They said the luggage was really NOT in Hong Kong. To do my part, I kept calling the Cebu Pacific Hong Kong office, too. I called them day and night. My parents and my aunt in the Philippines also helped me call Cebu Pacific to submit reports regarding my luggage every single day. But also, to no avail. It was such a hassle to go around the pretty streets of Hong Kong in clothes that I just randomly saw on a street market. The things that were lost were from branded sponsors and the others were things that I carefully matched. All were branded and new. No clothes and stuff to use, messed up itinerary because we had to go to markets and stores first to buy my clothes, spending money on things that I would have all had if only Cebu Pacific handled my luggage carefully. All the hassle I had to go through. Have I mentioned that the things inside were for work? So, the work I was supposed to do in Hong Kong was also pushed back. After 6 days, we headed back to the Philippines. I was anxious to go back home so I could handle the case personally. My mom said calling their "hotline" is useless because the people answering the calls are just "representatives", call center agents, so they can't really fix the issue right away. I didn't have a bag to use as my check in luggage so I asked the lady in our guest house to look a box for me that I could use. She was thoughtful enough to find this box. Because I had no choice, I had to go back home with it. I took a picture so I would have a proof this time. Ugh, Cebu Pacific! They did not even give me money so I could buy clothes, underwear or a simple luggage that I could use while I was away from home. When I got to the NAIA airport on September 2, 2014, I looked for the manager right away to file the case. Apparently, my parents were already there and they already filed the complaint. We then talked to a certain Maureen. She said that she is the highest official in Cebu Pacific so she would take our complain. She handed us these papers to fill up. My luggage was lost on August 28, 2014. The manager said that they have 7 days allowance to find a luggage and that they still had 2 more days. She said Cebu Pacific would call me after the 7th day to update me. My mom insisted to give us a compensation for the hassle. But she said they will only give compensation when they have confirmed that they did not find my luggage. My mom then said that they should compensate me either they find the luggage or not. My mom was right! Why would they not compensate me for messing up my trip? I had to clothes, no underwear, no shoes, no bag, not even sanitary napkin for goodness sake! I had to buy all those in Hong Kong, with my own money! 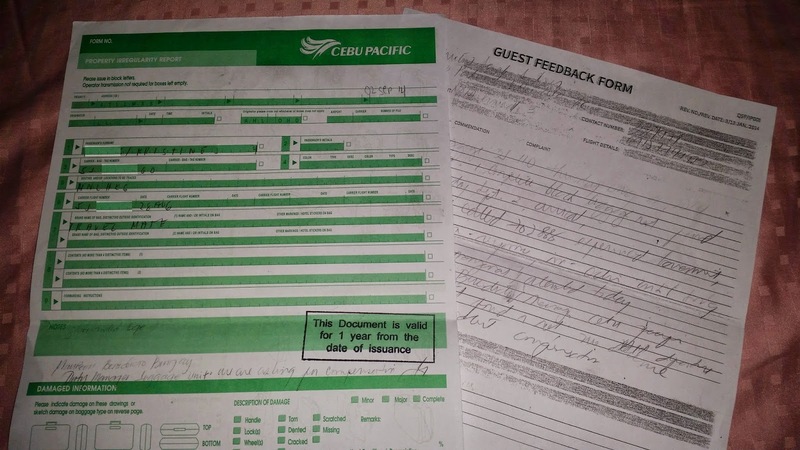 On the night of September 2, 2014, a Cebu Pacific representative called me to update me that they were not able to find my luggage. He then said that the amount they applied for was "Php 9,000". NINE THOUSAND PESOS? Are you kidding me? 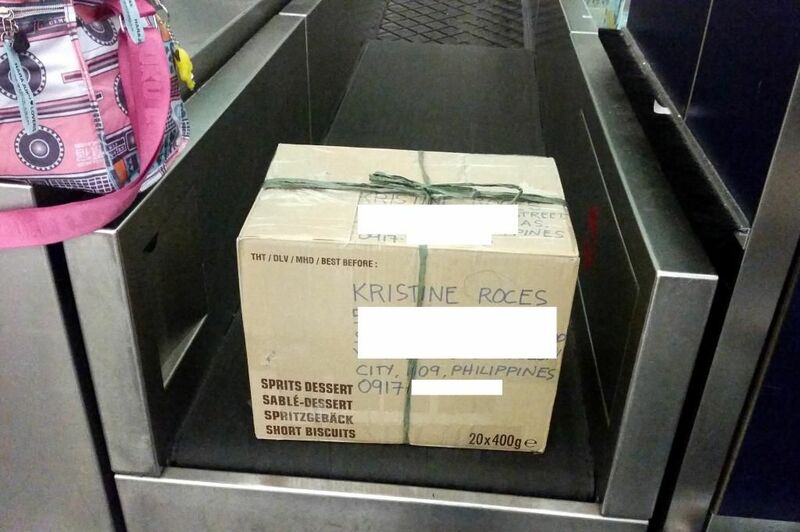 The luggage itself costed around Php8,000 and you're just going to pay Php9,000? 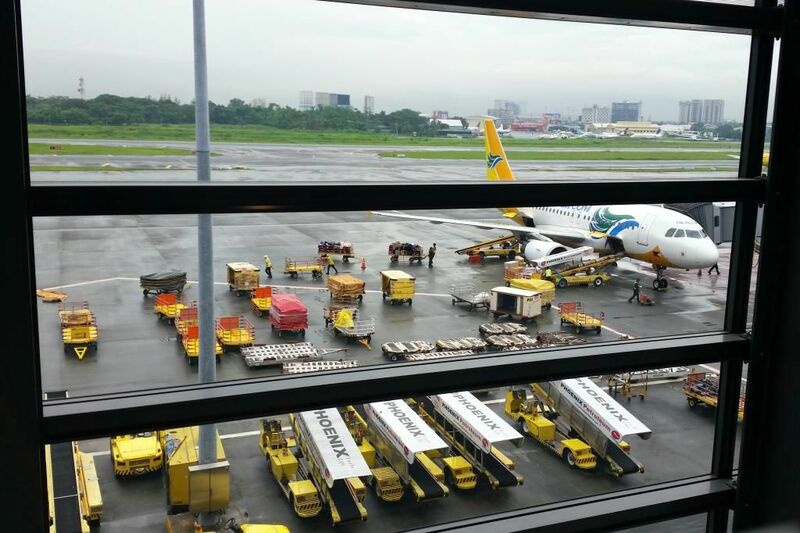 Is Cebu Pacific under crisis now? I failed to mention that on August 28, while we were still on the plane going to Hong Kong, one of the flight attendants handed me a paper and asked me if they could ask for a feedback and evaluation. Because the flight was okay and smooth, I gave them a nice evaluation. But, I got no response. I troed sending the e-mail again, but still got no response. September 5, 2014, I got another call. The agent CONFIRMED that my luggage is truly missing and could not be located anymore. He said they would give me Php 20,000. That's was still so small! The items inside were definitely worth three times more than that! Because I totally lost faith in Cebu Pacific and would probably be NEVER going to fly with them again with my own money, I told the agent that Cebu Pacific should give me Php 30,000 + a 2-way open ticket to anywhere in Asia. I asked for the plane ticket not because I was greedy, I can buy the ticket on my own. But because I wanted to know that the next time I fly with them, this will not happen again. I wanted to give Cebu Pacific the benefit of the doubt. Maybe they would do better and handle my luggage carefully next time around. So, I wanted to give them a last chance. The agent told me that another agent would call me again on Monday, September 8, 2014 to update me regarding my request. On September 8, 2014, an agent called me and said that monetary compenstation + a "free flight" is not possible. That I could only choose one. Of course, I chose MONETARY. I thought, if you don't want me to give you the benefit of the doubt, then don't. But at least pay for my important stuff that you lost. So, I told the again to give me a good compensation for the lost valuables, the hassle, the money I spent in Hong Kong to buy new stuff and just for everything that happened. He said he will submit the report and would call me again. 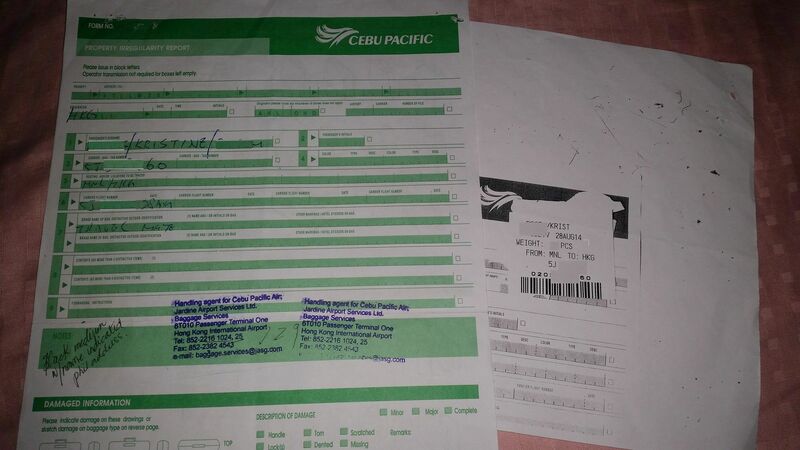 Now, September 11, 2014, I still haven't gotten any calls or updates from Cebu Pacific. I tried contacting them and tagging them on Twitter, Instagram and Facebook but no one responds. I see that they post real time so I don't see why they won't see my flood of tags. I also called their "hotline", but that's just a call center. I also called the agent that Maureen said was her assistant, but he doesn't pick up the phone. After exactly 2 weeks of being cool about the entire thing, I finally decided to post about this Cebu Pacific incident. I may not be as popular as Camille Co when Etihad Airways lost her priority luggage, as tough as Claudine Baretto, or as powerful as Mike Enriquez or the Tulfo brothers, but I am a passenger and a consumer just like them. Everyone, rich or poor, deserves compensation and a superb service! 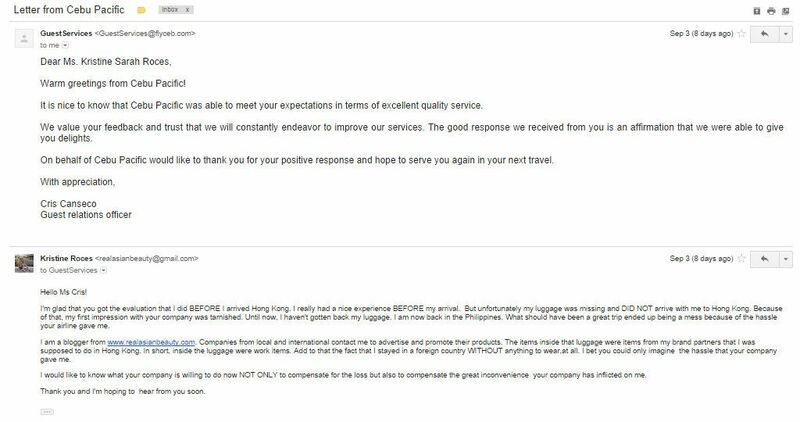 Cebu Pacific lost my luggage, it did not even reach Hong Kong with me, so it is only right to be mad and to demand compensation. This is our step 2. In the next days, we will personally go to NAIA again to follow up the report. Please, please help me by sharing this post on your Facebook, Twitter, Instagram and Blog! Don't forget to tag @CebuPacificAir so that this reaches them. Traveling is supposed to be a form or relaxation, not another reason to be stressed out just because of other people's carelessness. If you are a frequent flyer and you've read this post but still willing to take risk with Cebu Pacific, just know that you have been warned.